Welcome to T'ai Chi Empower! 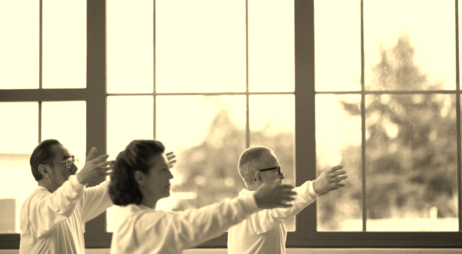 T'ai Chi is an ancient Chinese exercise for health, self defense and spirituality, and more than ever it is relevant for our busy, complex lives. People around the world practice it, no matter their age, gender or background. T'ai Chi Empower helps you build greater awareness, confidence and strength - in ways that are meaningful and serve your purpose. So once again `Welcome! and please explore, reflect and connect.